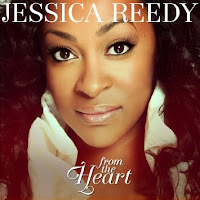 Gospel singer Jessica Reedy made a big splash when she was runner up on season two of BET's Sunday Best. This is American Idol for gospel singers. Put It On The Altar was a hit on the Gospel charts. Jessica released two albums and it looks like she has taken a break to raise her family. She was born July 12, 1988 in Saginaw, MI. Her pastor grandfather started calling her on stage to sing at age four. Eventually she landed in Las Vegas as a backup singer. After a failed American Idol audition, she got a music scholarship to Tougaloo College in Mississippi. But then she got pregnant and she moved back to Saginaw. A friend took her to an audition for BET Sunday Best. If you're not familiar with the show, it's been on BET since 2007. The show is produced by Kirk Franklin and Mary Mary. Franklin also hosts the show and Mary Mary and Bebe Winans were the judges when Jessica appeared on the show in 2009. The winner gets a contract with Franklin's record company. Jessica didn't win. She finished second and she signed with eOne's Light label. From The Heart was her 2011 debut CD. The album debuted at the top of the Billboard Gospel Album chart and the single Put It On The Altar did well. Guests on the album include The Soul Seekers, Doc Powell and Faith Evans. Producers include Deon Kipping, Warryn Campbell and Israel Houghton. Put It On The Altar was produced and written by the husband wife team of Charles and Nakeia Homer who have also worked with Cheryl "Coko" Gamble. For her 2014 album Transparent, Jessica left Light and started her own label Purity. It seems she wanted more creative control over her music. She won a Stellar Award for that album. But she hasn't recorded since then and it looks like Jessica has taken an extended break to raise her family. She's a pretty good singer so I would like to see her return. But she seems disillusioned with the music business and it wouldn't surprise me if she doesn't return at all. 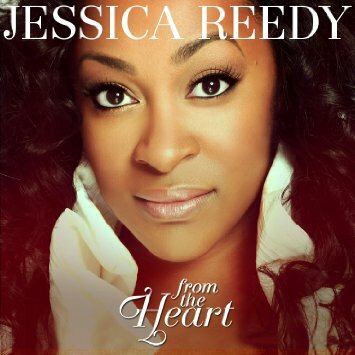 Here's the video for Put It On The Altar by Jessica Reedy.